Don’t let an incomplete smile keep you from doing the things you love. 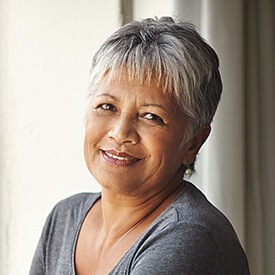 If you’ve lost teeth to decay, disease, or injury, natural-looking dentures or partials can restore oral integrity and let you talk, eat, and laugh with confidence. Full dentures contain an upper and lower row of prosthetic teeth on a gum-colored base. Comfortable and long lasting, your custom dentures will return your strong, healthy smile and eliminate the health risks posed by missing teeth. If you have some healthy teeth remaining, partial dentures, commonly called partials, can fill in the gaps to complete your smile. For qualifying cases, Dr. Cheng, Dr. Thorburn and Dr. Tijerina may recommend implant-supported dentures. Read about dental implants here. Reclaim your oral health and dental vitality. Call today to schedule your full or partial dentures consultation with Dr. Cheng, Dr. Thorburn and Dr. Tijerina. Our Fort Worth office is located near Burleson, Crowley, Granbury, and surrounding areas.